Every year I try to do a new mantel for Christmas. Last Christmas I decided to keep it fairy simple. I had an obsession with Epsom salt last year so the mantel got it’s share. Earlier in the year on a trip to Ikea I found these small candle holders and fell in love with them. 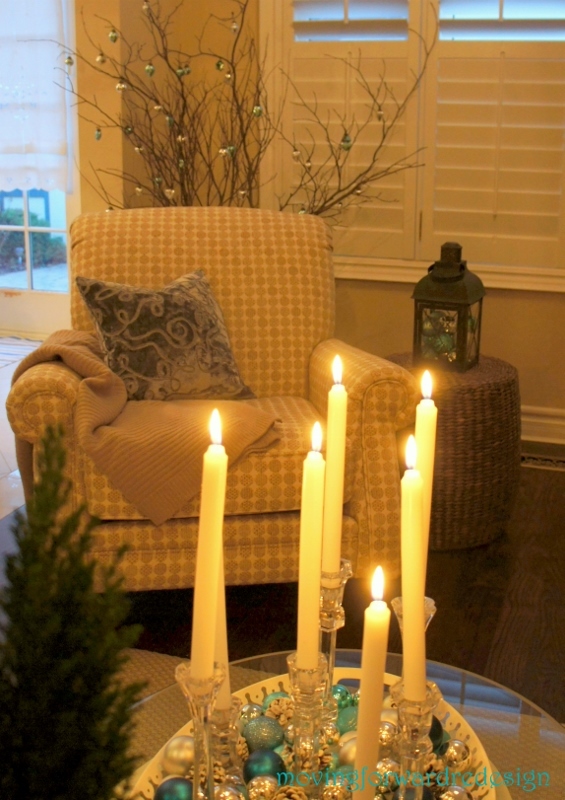 I knew they would come in handy and here they are…with Epsom salt and LED tealight candles. I added some Epsom salt “snow” to the blue wine carafes to hold the silver branches. I love using a wreath on my mirror, I attach it to the mirror with a command hook so that it can be easily removed at the end of the season. The garland on the fireplace, also attached with command hooks, was embellished with magnolia leaves and silver baubles and in the center an ornament from a special friend. 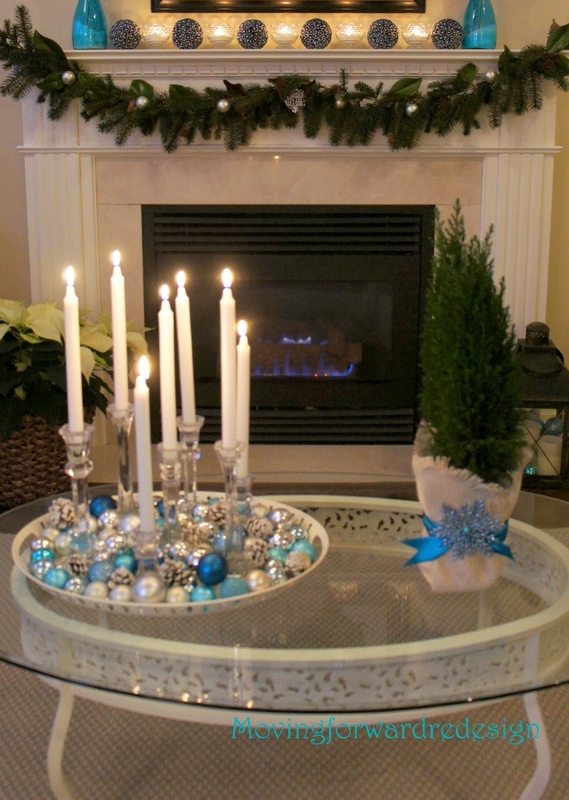 The coffee table was kept simple with a tray full of frosted pinecones, ornaments and candles. See how I embellished the pinecones HERE! Thanks for taking the time to come by, more Christmas decor to come in the next few weeks. 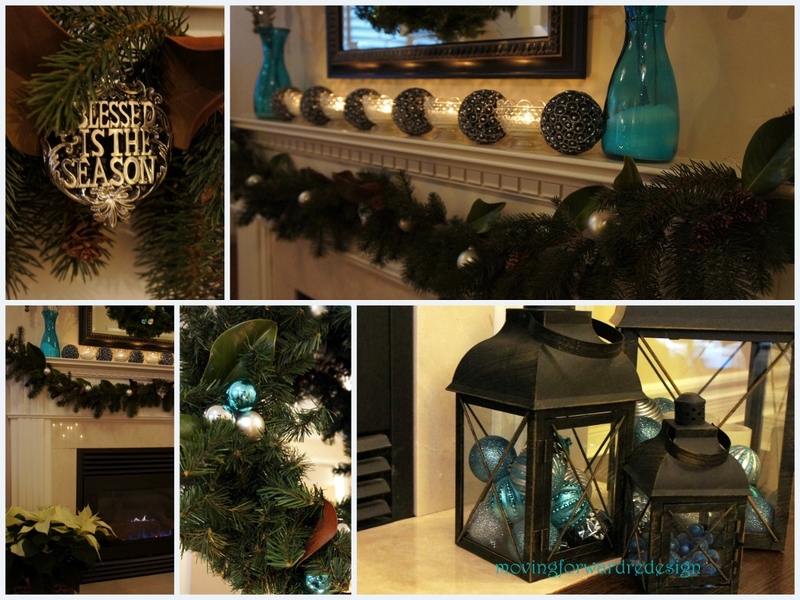 Make sure to check out my new page on Facebook A DIY Christmas for lots of Christmas inspiration and decorating ideas. 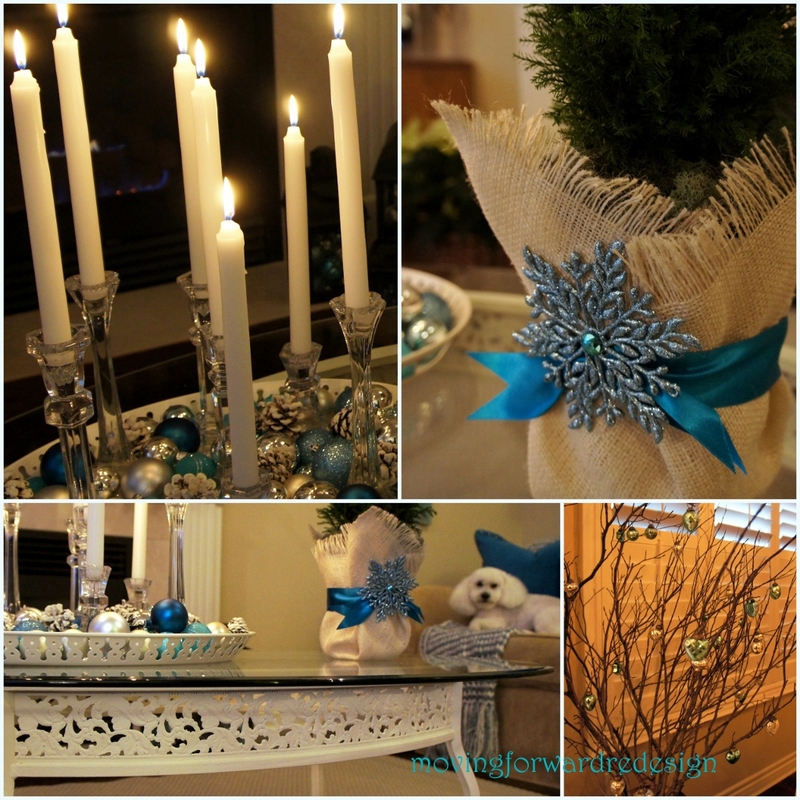 Christmas time in the kitchen & DIY placemats! Thanks Jennifer, last years mantel was pretty easy to put together…not sure what to d this year. I have a weakness for blue, too, as you know! 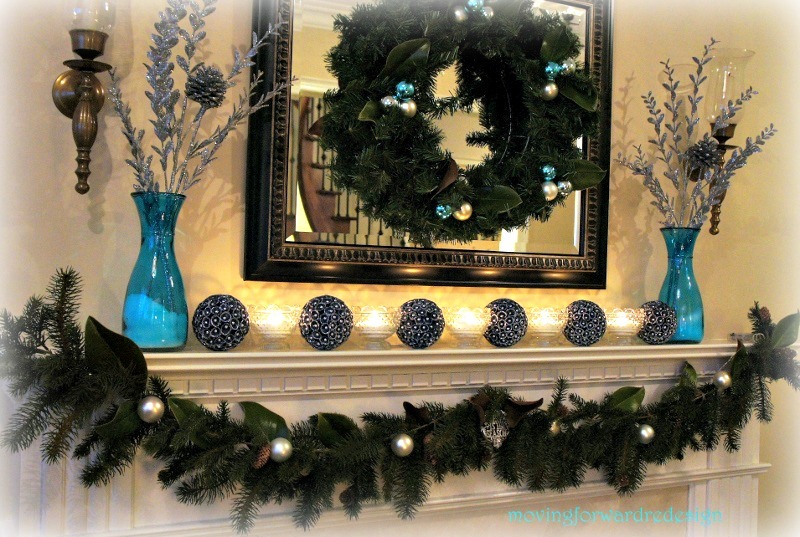 I love all the beautiful touches of blue on the mantel as well as on the coffee table. Your lanterns, stems, and tray are so perfect! Adorable candle holders – love the glow! Oh how lovely. A cool blue Christmas that is so pretty, especially for Anything Blue Friday. Thanks for a lovely visit.